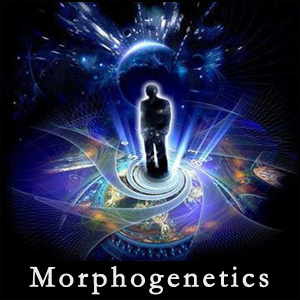 "A Morphogenetic field is an invisible organizing region of influence"
A Morphogenetic field is essentially an energetic habit that is formed by repetitive thought processes. This can start as a simple thought, and through repetition (it’s own evolution) progresses into an idea. These ideas can spread and evolve through people by being a subject of focus, social habits and projections of what we think "should be". This is how our reality is constructed on a moment to moment basis. Many powerful "Morphic" fields exist for us such as the concept of Time, Space, Astrology, Biology, Medicine, Philosophy, Physics, Quatumn Mechanics, etc. These more powerful fields, help shape our perceived reality and the world that we live in. Did you ever wonder why there are several types of medicine practiced all over the world? Or why so many religions, languages or philosophies exist? Did you ever wonder how this knowledge came about and where it may have started from? Even the most intricate of sciences got their start from someone’s imagination. How does this work? Or Why is that the way it is? These are the questions that were pondered to give way to powerful energy manifesting before our eyes. This is what builds civilizations. It's easy to see how this "chain of events" can happen….the passing around of ideas and discussions of those ideas, experiments to prove something one way or another. All of this action gives strength to an idea, creating a larger field every time there is an inkling of the possibility of it being in our "reality". This knowledge is essential to our overall well being. Once we acknowledge the structure of how our reality is created – that we are creating in every moment by how we think and feel, then we can effectively begin to positively effect our everyday experience and the lives we lead. We can effectively change how our species behaves and prospers. There are so many walking the planet that do not believe they have any control at all – this is a Morphic field itself, perpetuated by those who take part it in. This negative aspect resides all around us - war, hatred, depression, anxiety, and the idea that we must live with such things. How many people do you know that are perpetually sad or depressed because of a "belief" that feel they must live out? Unhappiness, Loneliness, Disease, etc. These are things that can be changed in an instant through thought. Thought creates everything that we experience, why not use it to change our experiences to what we want? The next time you are faced with an "unwinnable" situation, take a step back and think in Morphic terms. Change the very field you are experiencing to a more healthy or better one.